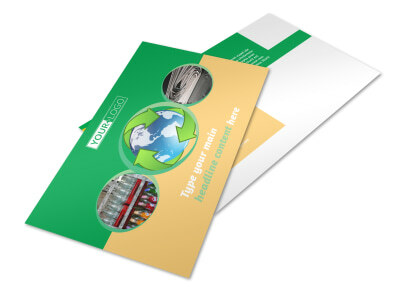 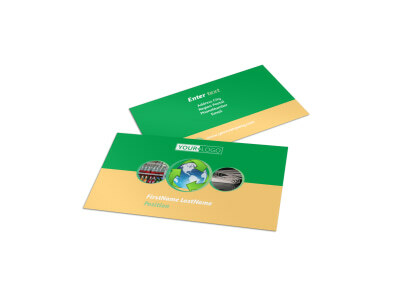 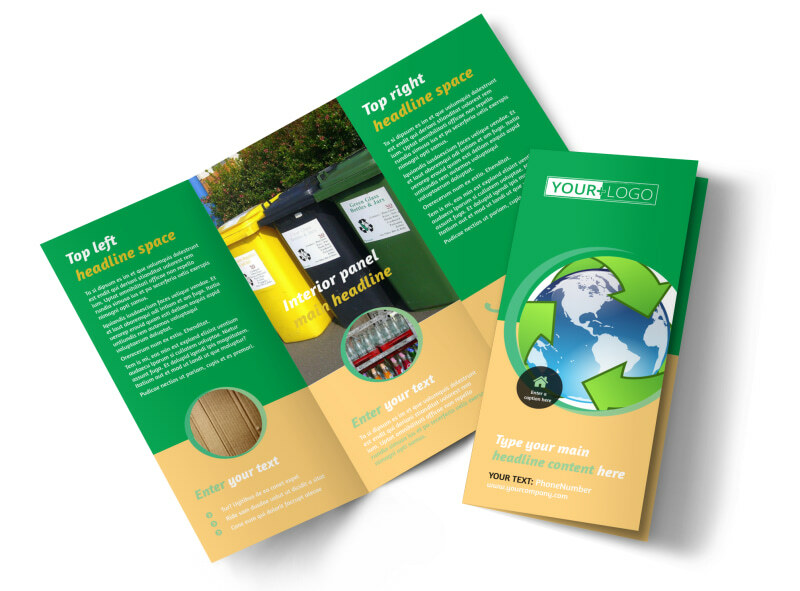 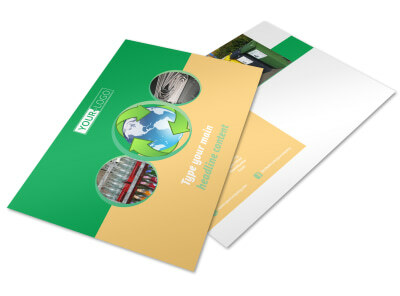 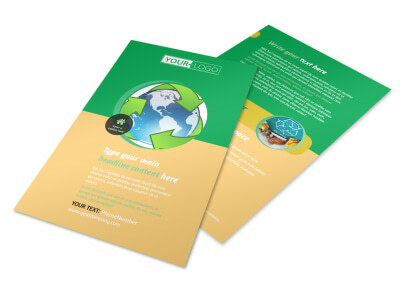 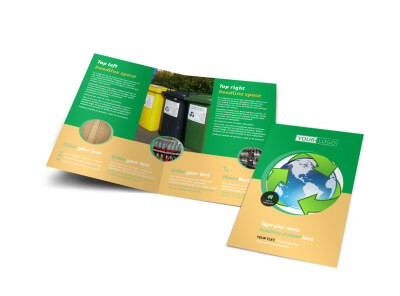 Customize our Recycling Brochure Template and more! 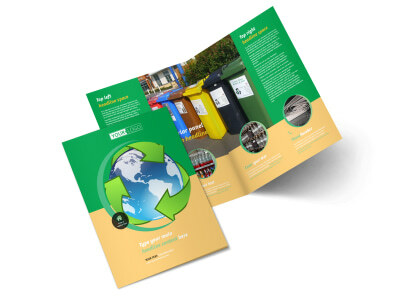 Encourage the community to be kind to mother nature with recycling brochures. 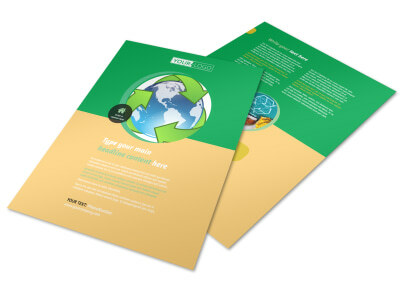 Whether you’re providing information on how recycling helps the planet breathe easier or detailing the types of recyclables your center accepts, do it easily with our online editor and templates. 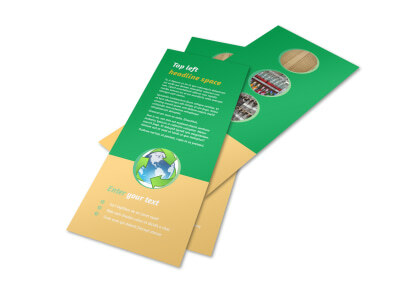 Upload photos, add custom text, and more to hone a moving design today.